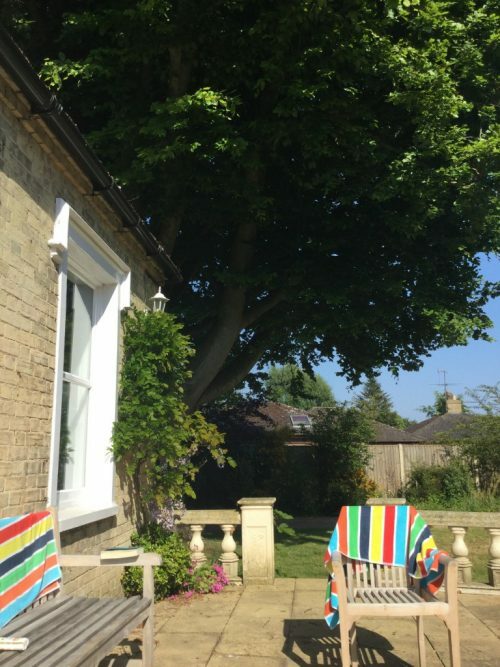 Since opening our new office in the perfect seaside town of Sheringham this March we have expanded our portfolio of very special hand picked holiday cottages in Sheringham and the surrounding area. 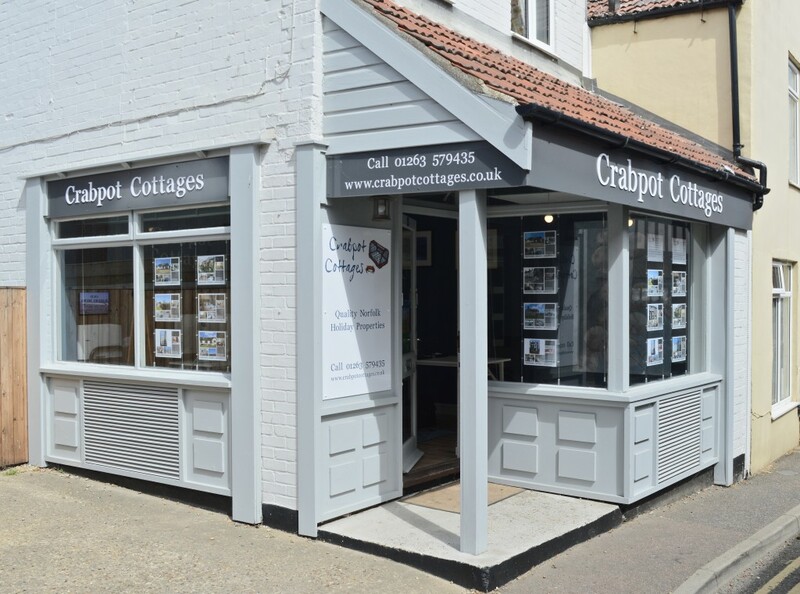 Crabpot Cottages is not about having hundreds of properties on our website for you to wade through, cross your fingers and take a chance on, each house is personally checked by us before we begin to market it and we only pick houses we would like to stay in ourselves. That’s what makes us different. We really can give you the personal touch. We do not have a call centre, we not not charge booking fees and we do not over exaggerate any of our houses We want you to be over whelmed not underwhelmed when you walk in. November in Norfolk is just so special. It marks the beginning of the extraordinary natural phenomenon that is the annual bird migration. 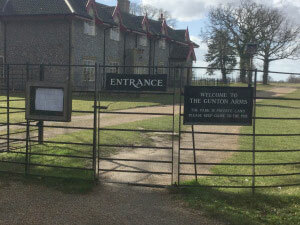 If you are looking for bird watching holidays in Norfolk, you have come to the right place. The first day I hear the honking of the geese overhead makes my heart soar. It means, Autumn, log fires, misty dark evenings, deserted beaches, colourful woodland walks and fabulous lunches in our local pub by the fire. Well what can we say about this summer? It was perfect for a Staycation. What a few weeks we had. My brown toes are just starting to fade but the memories are made. We can’t go away on holiday, for obvious reasons in the summer, so we decided to have a Staycation. 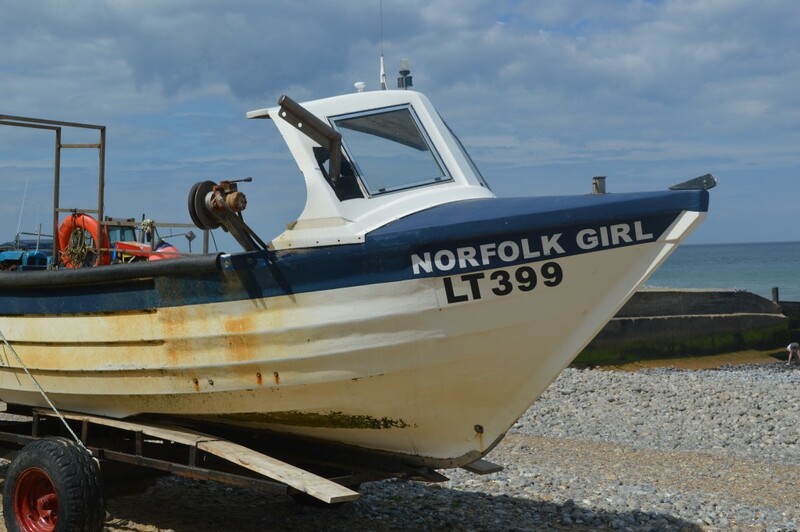 I have lived in Norfolk all my life but we found so many fabulous things to do we had never done before. 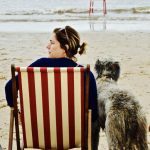 Norfolk has got to be one of the most Dog Friendly counties you can find. Most pubs are pretty good about letting your canine friend in to help you sup a pint of Nelsons Revenge. Some beaches do have restrictions on in the summer months but normally it is only for a small part of the beach. You still have miles and miles of sand to run on! 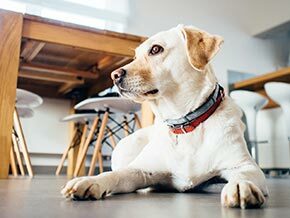 And the other great news is that many of our cottages are also dog friendly. So if you are looking for dog friendly holiday cottages Norfolk, you have come to the right place. 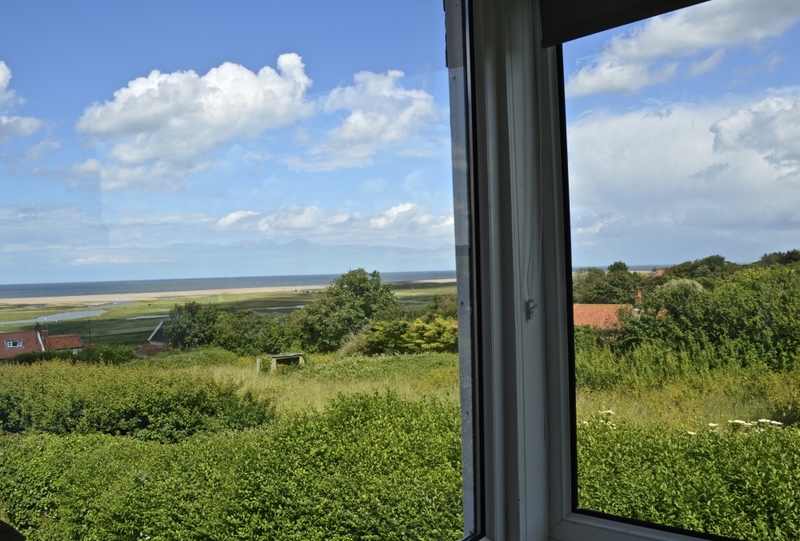 Self Catering holidays in Norfolk – Staycation! This year my husband had a BIG birthday. You get to a point in your life when you slightly panic about things you haven’t done. Like go to India or climb Kilimanjaro. I spent months dropping hints and surreptitiously asking him how he might like to mark this momentous occasion. He is pretty easy to please but I wanted something REALLY special. Vegas? New York? or The Caribbean? I was getting no where, he would not commit to anything at all. Then it occurred to me that all he really wanted was time, time to spend with family, time to relax and time to spend time, if you get my drift! We have been working hard on our business and realised that although we book lots of other people self catering holidays, we have not had one ourselves for a long time. So a self catering holiday in Norfolk it was! Everyone has heard of the famous Cromer Crabs. They are valued and prized amongst chefs all over the UK. 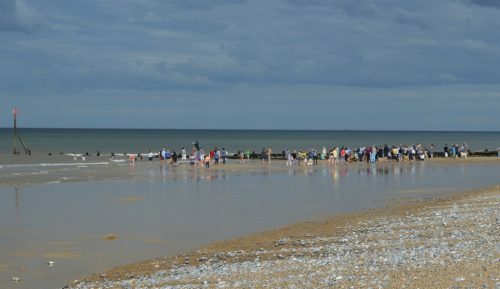 What makes Cromer Crabs special? The key is the relatively shallow chalky waters off the beaches of Cromer and Sheringham, the crabs live on the chalk reef filtering in the clean and unmuddied waters giving them a sweeter and unique flavour. Cromer Crabs have been a staple in the region for centuries. Crabbing is still done the traditional way with pots, being carried out to sea on the little crabbing boats, you can see them bobbing up and down with the bright flags on the top so they can be found! It is a hands on process with each crab pot being emptied by hand, That way the fishermen can check the size of the crabs, throwing any back that are too small to fight another day. The fishermen boil the crabs and dress them on the shore or in a few small local fish shops. Its a real skill to dress a crab! So in June we went to our first Happening! And it Happened in Cromer. At Cromer Beach. 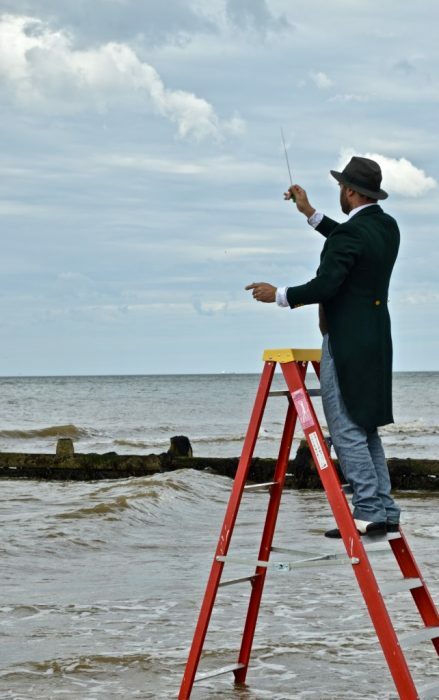 The Sea Concert (The Panoramic Sea Happening) by Tadeusz Kantor was first staged at Osieki on the Polish coast, with conceptual artist Edward Krasiski, who also dressed in a black tailcoat and conducted the waves from a stepladder while being watched by spectators in deckchairs from Cromer beach. So we wandered along the beach feeling a little self conscious to be honest. But soon we were joined by a lot more people. Some deck chairs were unfolded and lined up, flapping in the wind and a podium was dragged into the sea. As the tide lapped up against the podium our conductor arrived, looking respendent in black tail coat, carrying a baton. Everyone watched as he climbed the steps and began conducting the sea! Children splashed about in the waves and people sat having a drink in the deck chairs watching. It was all very exciting and….well different! Definitely Not Normal for Norfolk. 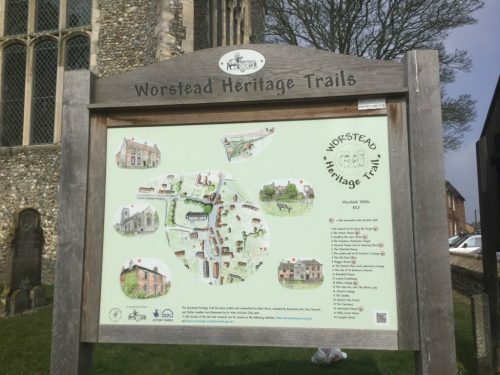 Worstead Village in Norfolk has aways fascinated me. It is the home of the original Worsted fabric. a strong woollen cloth, woven here by the Flemish settlers who settled here in medieval times. Some of the prosperous Merchants houses still survive today as do some of the original weavers cottages, with their large rooms, big enough to house the 12 foot looms of their trade. Weaving ceased here in the late 1880s when the large commercial clattering mills of the industrial North took over the once peaceful trade of weaving. Plentiful supplies of coal fuelled the huge weaving sheds, taking the production of cloth to another level. At the centre of Worsted village is the church. It is enormous. An impressive building with wonderful huge windows. 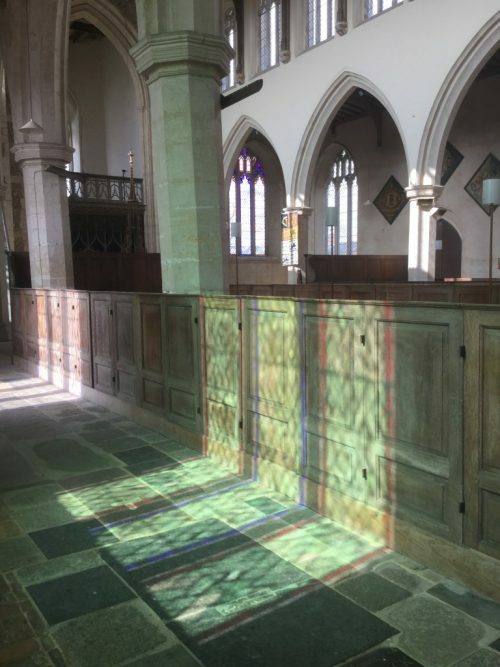 I sat for ages inside watching the beautiful changing light from all sides. It was quite magical. A lot of the Victorian pews have been taken out so the sense of space is enchanting. 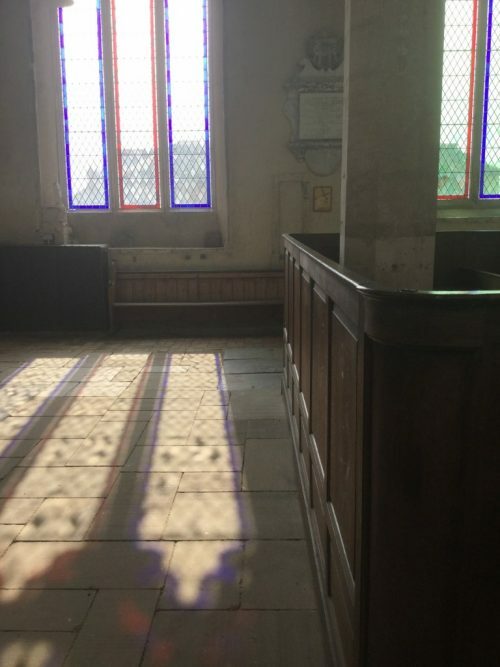 I don’t know anything about church interiors but this one just sung to me. 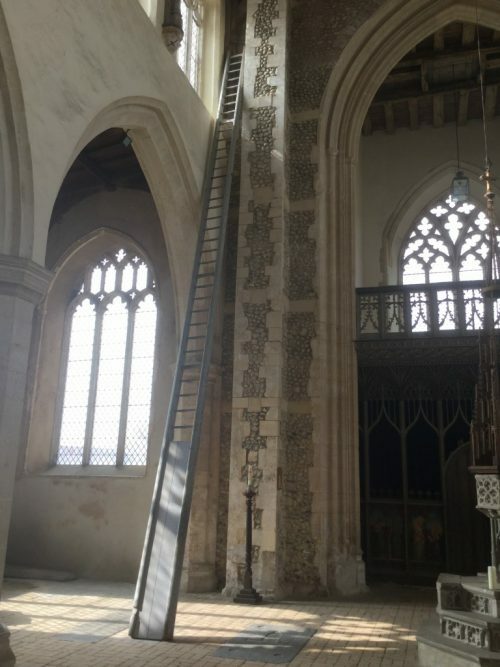 The paintings on the screens, the gargoyles and the most incredibly long ladder I have ever seen. It truly looks like a stairway to heaven. I guess it is for cleaning the massive windows, and it looks as if it has been there a long time. Each year Worsted hosts a village festival which is very well attended. It showcases many rural past times plus lots of good food and music. This year it is on the 29/30th July and is well worth a visit. 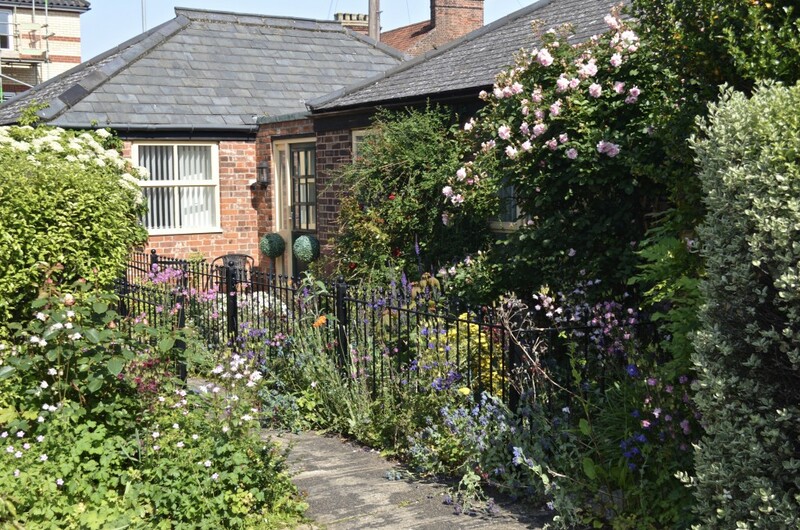 There is a village trail you can follow which allows a glimpse into the village’s historical past. The village pub with it’s enigmatic name The White Lady serves great food and prides itself on serving well kept beers and ales. Worth a stop off for lunch! The fastest crumbling coastline of our island shores is giving up it’s secrets. We have all heard of The Jurassic Coast in Dorset but the finds that are being unearthed along The Deep History Coast of Norfolk are surpassing everything. 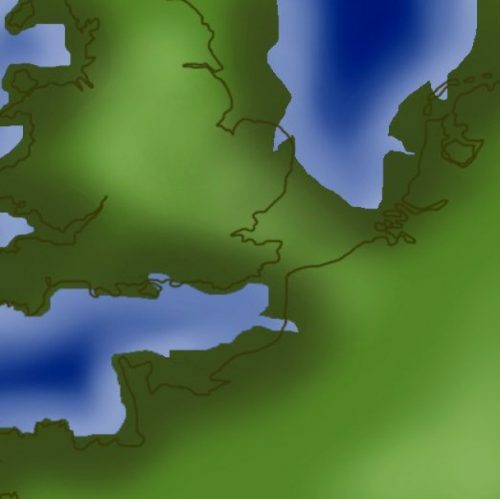 The soft cliffs between Runton and Happisburgh, taking in Cromer, Overstrand and Mundesley are revealing that Norfolk was once connected to the continent with forests, woolly mammoths, sabre toothed tigers and spotted hyenas roaming the area. Rare fossils of the above have all been discovered. Including the famous almost complete skeleton of a Steppe Mammoth found in West Runton in 1990. The gradual coastal erosion and significant tidal activity over the past decade have revealed the era to be of a more historical significance than the sites in the south. One of the most incredible discoveries were the fossilised footprints of the earliest know human beings, 850,000 years ago! These were uncovered by a particularly high tide causing international excitement. Nothing this early had ever been discovered outside of Africa. Flint tools dating back 550,000 years ago have also been found in the cliffs. What an incredible place to visit and discover for yourself. So wouldn’t you like to follow in the footsteps of the earliest tourists to Norfolk and discover this wonderful coastline for yourself?